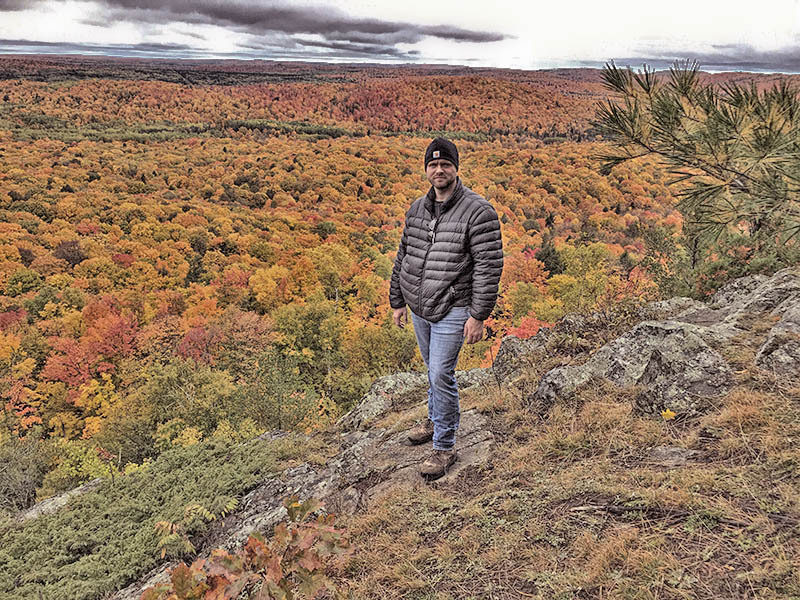 When my son, Eric, was here to deer hunt, we had time to hike up Wolf Mountain, the highest elevation in Gogebic County, for a color peek. It was his first time there, as well as visiting Gabbro Falls, which he had not seen in his many other visits here. Living here, there is never a shortage of new things to share with guests, even those who are well versed in this part of the Northwoods. I am constantly learning of new places and oddities from my patients, most of whom have lived their entire lives here. Looking forward to being outdoors with the cameras this weekend, with the usual caveat…weather permitting.